Carnegie Mellon women’s tennis hosted Robert Morris University and Case Western Reserve University Sunday at the Oxford North Athletic Club. The Tartans used momentum from their three shutouts two weekends ago and barreled over their opponents, once again not losing a single set to either school en-route to two shutout victories. Junior Alisa Liebowitz led the way, not losing a single game to her opponents from either school. Against Division I Robert Morris Univerity , the Tartans got off to a roaring start, sweeping the doubles. Tartan sophomore Ashley Herrick and first-year Laura Chen got the ball rolling, defeating Robert Morris’ Kali Delorie and Katerina Rudneva, 8–1. The teams of sophomore and first-year duos Kelly Hart/Courtney Chin and Jennifer Chui/Cze-Ja Tam followed with 8–0 and 8–1 victories, respectively. Chen then started off the singles by defeating Delorie, 6–1, 6–1. Chui and Hart followed, also not dropping a set en-route to their victories before Liebowitz netted the first of her two shutouts, defeating Gwen Dalphon, 6–0, 6–0. Tam also swept Robert Morris’ Sara Meier while sophomore Danielle Rosenfeld won her match as well. Against Case Western Reserve, Herrick and Chen again kicked off the dominance, winning their doubles match, 8–0. 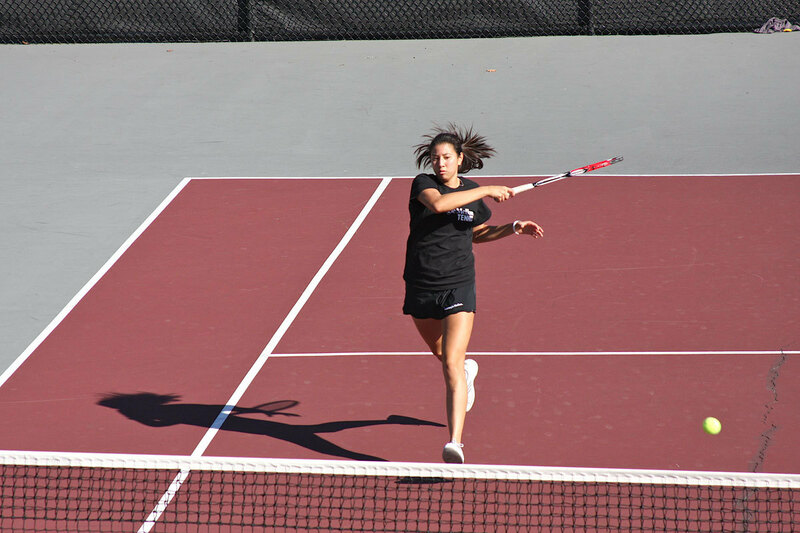 Tam and Chui followed with an 8–1 victory before the Tartans won the third doubles match by default. Chin then began the singles by overwhelming Case Western Reserve’s Marta Warwag, 6–0, 6–0 before Hart and Tam each won their matches, 6–1, 6–1. Liebowitz followed with her second shutout of the day before Rosenfeld won, 6–1, 6–0 and the Tartans won the last match by default to seal the victory. The Tartans will participate in the ITA tournament, hosted by Gustavus Adolphus College from Friday through Sunday.